This is the song I had meant to post last week, but when I came to upload it I found I had forgotten to press the Record button. Glad to say that this week I seem to have overcome my technical deficiencies. 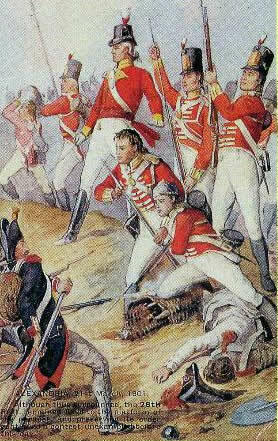 David’s brother produced evidence to show that this song was sung by an ancestor of the Parrott family who had served at Waterloo. Apparently he was in the habit of singing the song as reunions of veteran soldiers at the Corn Exchange in Bedford, and he invites us to imagine that this is the conversation that takes place when a father takes his son, wounded at Trafalgar, before a naval surgeon, who tries to swindle him out of his disablement pension by claiming it was his own fault. In 1924 the Bedfordshire Times published a series of articles examining the repertoire of songs sung by the pseudonymous author’s mother. It took me two years of diligent search to find the author’s name, and by the time I found them both he and his mother had died. However his brother, David, was still alive and he could remember the tunes of most of the songs. 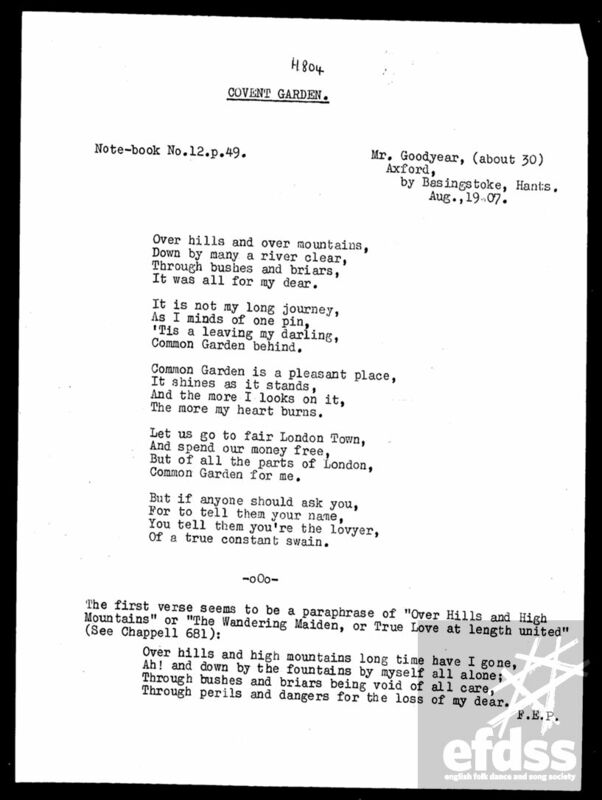 Some years ago, on a visit to the Vaughan Williams Memorial Library, my search for the words of a song led me to the George Gardiner MSS. These are now freely available on the EFDSS Take Six website but back in the dark ages one had to scroll through the collection on microfilm. Once I’d noted down the song I was after, having put Malcolm to the trouble of loading up the film, I thought I might as well have a browse and see what else I could find. I’m really glad I did, as I came across the version of ‘The Isle of France’ which I recorded last year with Magpie Lane, and this little gem, which immediately became one of my favourites. I see that Steve Roud has given this a unique Roud number; although the song has some words in common with other songs, such as ‘Yarmouth is a Pretty Town’, ‘Boys of Kilkenny’ and ‘The Chaps of Cockaigny’. It’s one of those songs which conjure up an atmosphere, but you’re not really sure what’s going on. No doubt at one time the song did make more sense but, deliberately or through forgetfulness, the folk process has improved it. (The mystery preserved in the words adds to my enjoyment of the song – it seems to make it “proper poetry”; and I’m a great fan of Elvis Costello, but I often don’t have a clue what he’s going on about). Gardiner collected this in Axford, Hants – a hotbed of traditional singing at the time, it would seem – on 19 August 1907. The source was Alfred Goodyear, an agricultural labourer born at Nutley, less than a mile away, in 1866 (I have this from a list of Hampshire singers produced by the Singing Landscape Project at Bournemouth University). Gardiner listed the song as ‘Covent Garden’, but Mr Goodyear seems consistently to have sung “Common Garden” – you can see for yourself on the Take Six site.